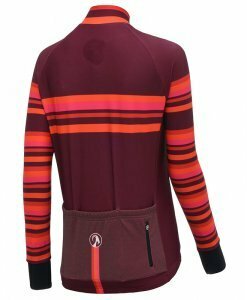 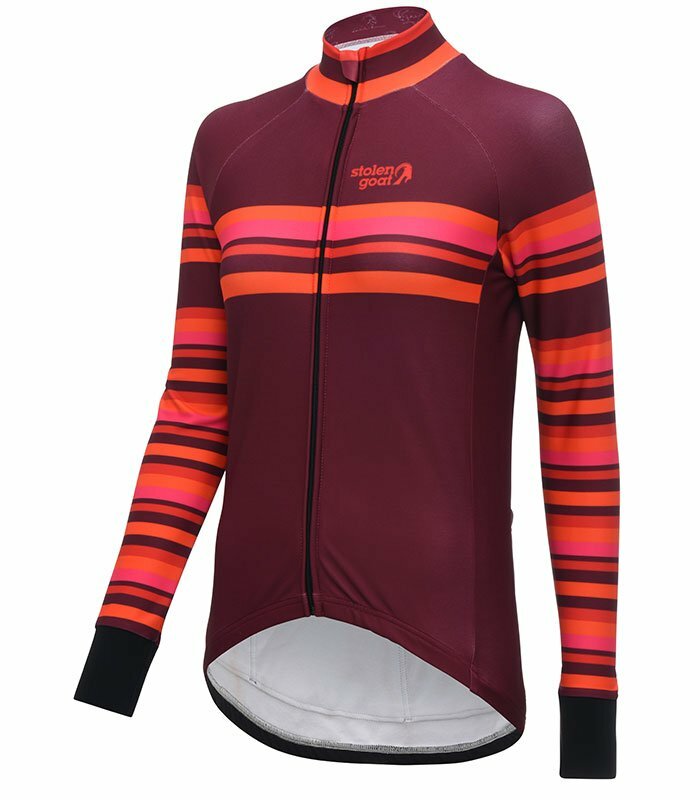 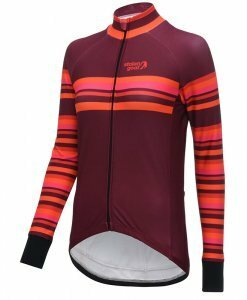 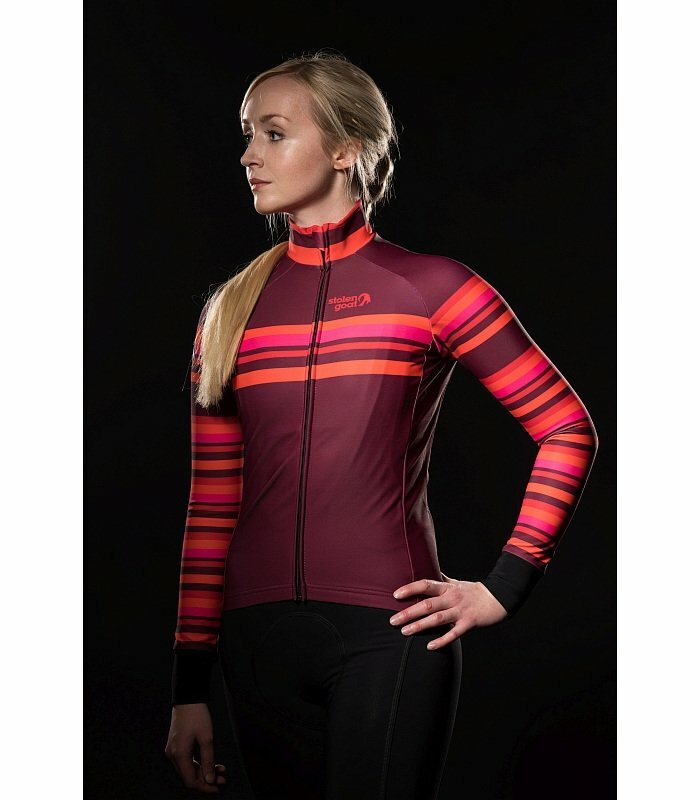 The womens stolen goat Avro Orkaan Everyday LS jersey features a burgundy base colour with pink and orange stripes across the chest, back and sleeves. 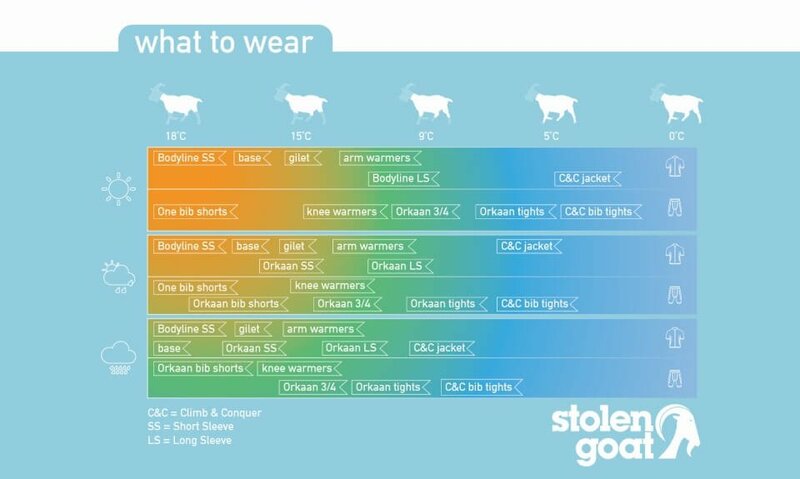 Our women's stolen goat Orkaan Everyday Jersey (available in short & long sleeves) is the core of the stolen goat "Orkaan Capsule System" - a range of kit enabling you to ride whatever the weather. 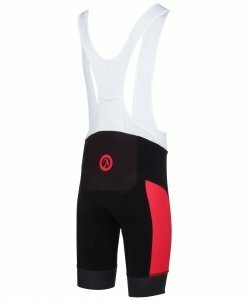 Our Orkaan Capsule will keep you dry and comfortable on day-long rides. 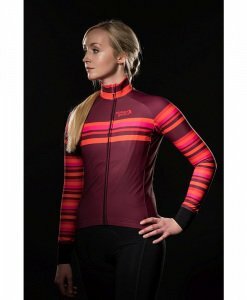 Women's specific fit. 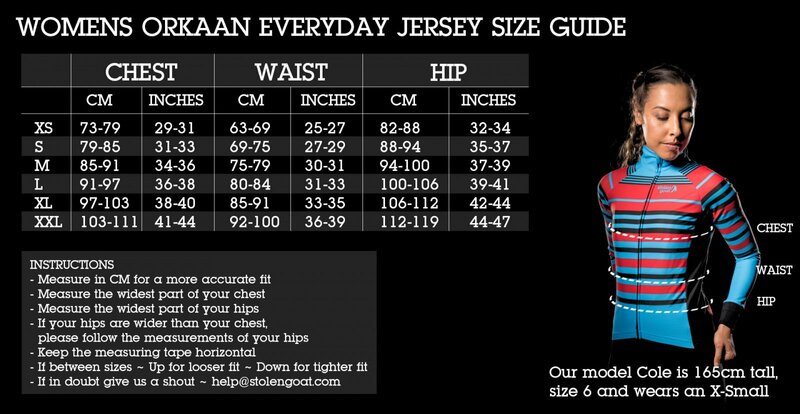 Because women are men have different body shapes. 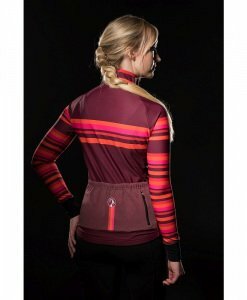 *some of the smaller ladies sizes (small & x-small) have one less pocket as they are more narrow across the back - so 2 rear pockets plus a third zipped pocket.